Salvaged by Sonya is a brick and mortar shop located in downtown Rockford IL.. We sell locally found vintage home decor and antiques. 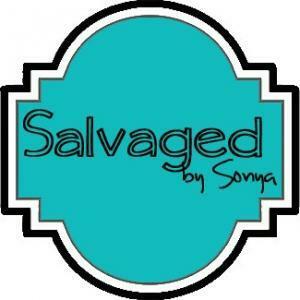 Salvaged by Sonya is a top Estate Sales Company in the area providing on site and off site sales since 2011. Our large staff insures a quality sale every time! Salvaged by Sonya * Estate Sale ** Ridgeway Curio Grandfather Clock**Huge Doll Collection* Jewelry!! Salvaged By Sonya ** Estate Sale **Kayak* Patio Table/Chairs *King Bed*Wicker Furniture & More! Salvaged by Sonya * Estate Sale ** Cadillac * Harley Davidson & BMW Motorcycles*7up Machine * Tools! Salvaged By Sonya ** Estate Sale **Hand Carved Wooden Benches * Garden Treasures and so much more!! Salvaged by Sonya * Estate Sale ** Wool Area Rugs * HSN Jewelry * Books* Lawyers Bookcases & More!!! Salvaged by Sonya * Estate Sale **2004 Honda Civic ***Pottery Barn Style Sale* Furniture * Huge Make Up Collection - Bare Minerals~!!!! Salvaged By Sonya* Estate Sale** Corner Hutch ** Teachers Supplies * Jewelry and so much more!! Salvaged By Sonya ** Estate Sale ** 1965 BUICK RIVIERA - BEING RESTORED....Stereo's & Turntables* Bar * Rattan Patio Furniture & More! Executive Home In Red Oak Subdivision - Filled with Furniture & Electronics & So much more!!! Salvaged by Sonya * ESTATE SALE * Crystal Lake Home * Power Tools * Leather Furniture * And so so much more! Salvaged By Sonya ** Estate Sale * OFF Pepper Dr. & Alpine Area....A house packed full of vintage treasures!! Salvaged By Sonya ** Estate Sale **Ecclectic Mix of MCM Furniture * Art * Game Tables! APPOINTMENT IS REQUIRED TO VIEW AND PICK UP ITEMS. Call 815-985-2047 to schedule appointment! Salvaged By Sonya ** Estate Sale **Kitschy Decor * Garage Goodies** & So so much more! Salvaged By Sonya ** Estate Sale **Kitchy Decor * Newer Sofa * Garage Goodies** & Lots More!!! List to be added soon! Salvaged By Sonya * Estate Sale *Vintage Toys * Diecast Toys * Trains * Furniture * Tools***Jewelry! Salvaged By Sonya ** Estate Sale **Contemporary Home with Newer Furnishings ***All For Sale!!! Salvaged By Sonya ** Estate Sale **Mid Century Modern Furniture * Baby Grand Piano* Books!!! Salvaged By Sonya ** Estate Sale **Executive Home On The River Filled to the Brim w/Furnishings!! !